Anyone who has climbed at Moonarie knows just what this sign at the top of the Descent gully means. Gliders and light aircraft are everywhere; swooping over Wilpena Pound with camera-toting tourists, so a climber popping up where they aren’t expected gives them a bit of a thrill. 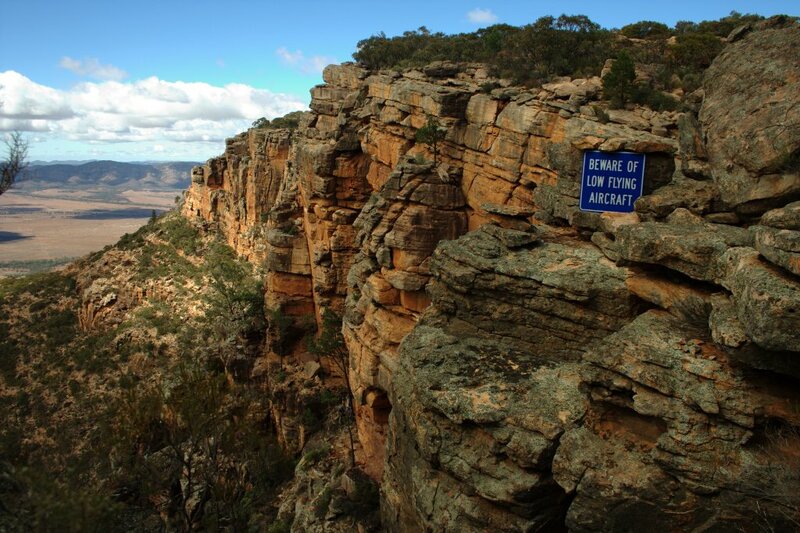 BOLFA is the newsletter of the Climbing Club of South Australia. It is distributed by email to club members and anyone silly enough to register to receive it! It is an interesting and fun read but is reliant on folks to send in articles to give it that “must read” feeling so send in your stuff and give us all a smile.